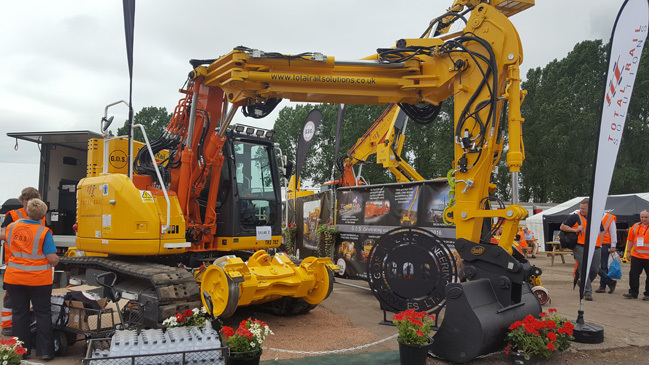 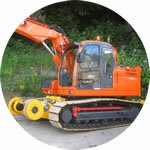 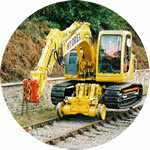 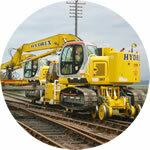 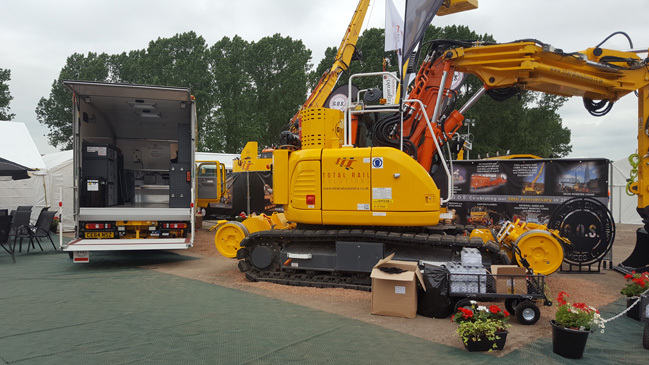 Road/rail conversions available on many popular OEM excavator makes, including Doosan, Komatsu, New Holland/Kobelco and JCB. 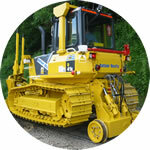 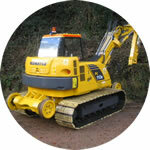 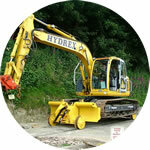 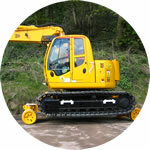 Conversions also available for most dozers, including Komatsu D41 and D37 models and CAT D3 and D5 models. 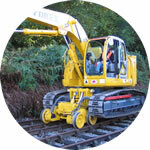 Variants available to Network Rail, London Underground and other engineering specifications, standards and approvals. 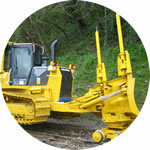 facing CCTV system, rail lifting accessories. 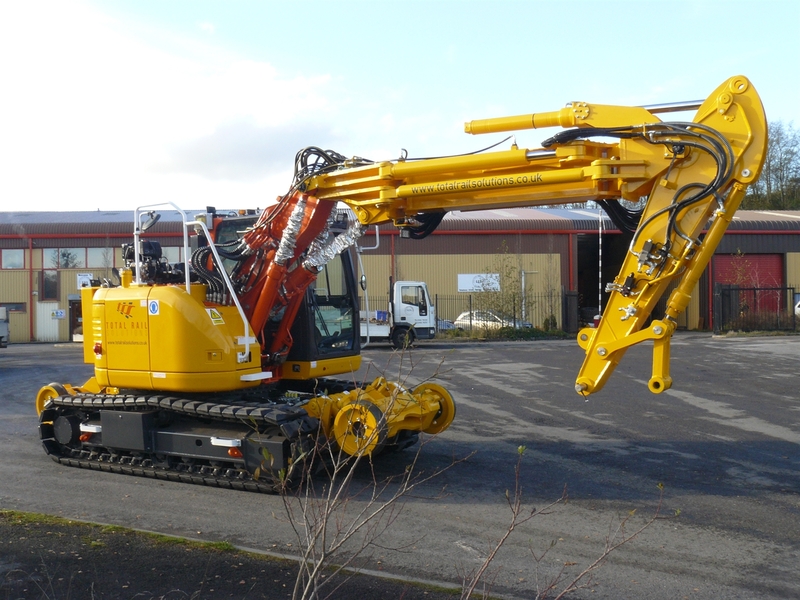 Most machines can be equipped with the sector-free GKD 3rci RCI system, fitted as standard with tandem lifting, “virtual wall” and data logging capability. 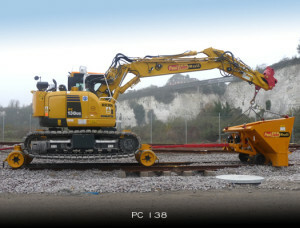 Philmor “Rail Bug” conversion of a Kobelco SK135 excavator. 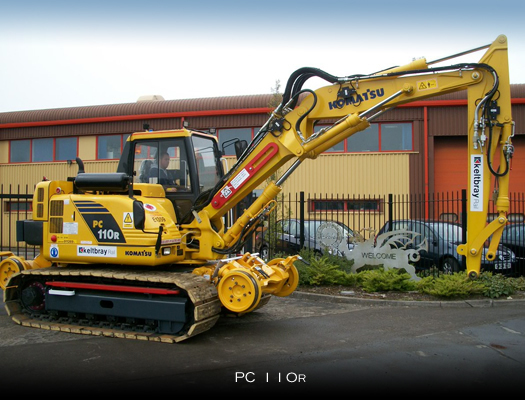 Philmor “Monster Bug” conversion of the New Holland/Kobelco 200 Series excavator, featuring 8 driven rail wheels for additional traction.